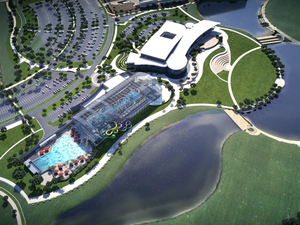 With a slogan like "let it be epic" it's no wonder the Grand Prairie's Parks, Arts and Recreation Department's plans for its new and unique Epic project located at Central Park promises fun and activities for the entire family. The $75 million project will feature a “life changing center” with a large aquatic center and playground built for children of all abilities. There's also plans for multi-purpose courts with built-in seating, a grand atrium with high-tech library, theater and performance stage, recording studio, fitness center, culinary arts room, youth game room, indoor lap and resistance pool, and much more are all slated for development on the 120,000 square-foot property near the city's Public Safety Building. To combat the summer heat, this parks project will also include Epic Waters, a large water park with retractable roof, which will include an arcade, party rooms and fun for all ages. Epic Waters will also feature rides never before introduced to the southwest, including Texas’ first four-lane Flo-Rider Surfing Machine. Play Grand Adventures is the third piece to this Epic puzzle is a 10-acre all-inclusive outdoor playground for all ages and abilities, including children with physical, mental or emotional challenges. Play Grand Adventures will be a destination for children throughout the Dallas-Fort Worth area. A special "grand breaking" event for the project kicked off last October and was enjoyed by city officials and Grand Prairie residents alike. A free concert featured performances by Max Baca & Los Texmaniacs, Rick Trevino and Joe Ely, followed by fireworks. The project is set to be completed and enjoyed by all next summer, May 2017.